Launched as a way of exploring storytelling and audience through a visual medium, Hayground’s Young Filmmakers program has expanded into a full-blown intensive in the art and craft of making films. Students begin the year meeting with local filmmakers, studying short independent films and exploring a wide variety of film techniques. Working in teams, they then storyboard, write, produce, direct and animate their own original short films. The year-long program culminates in the Hayground's Young Filmmakers Festival, which invites young East End filmmakers to share and celebrate their work in a public viewing at Hayground School. View recent student films CLICK here for our Student Work page. Here teacher Liz Bertsch discusses her curriculum. How did the idea for this project or study come about? A couple of years ago I was looking to make a change to my program. I wanted an endeavor that would excite my students, and I wanted their industry to have consequences beyond the walls of the classroom. I decided that we would all become filmmakers. The first year we studied films by Charlie Chaplin and Buster Keaton and made silent films of our own. We needed an audience for our films, and so we created and produced Hayground Movie Night, a venue to premiere our movies to the larger school community. Flash forward seven years - the kids make silent films, stop-motion films, computer-animated films, live-action films and our Movie Night is a highly anticipated and well-attended event. What are the various stages of this project? How does it evolve over the course of the year? What questions guide or inform the students' process? Some film projects come about within the context of class assignments, and other times students develop projects on their own. At times, film ideas emerge for students while interacting with the filmmaking technology, and other times, they emerge as the kernel of a story in the mind of the filmmaker. 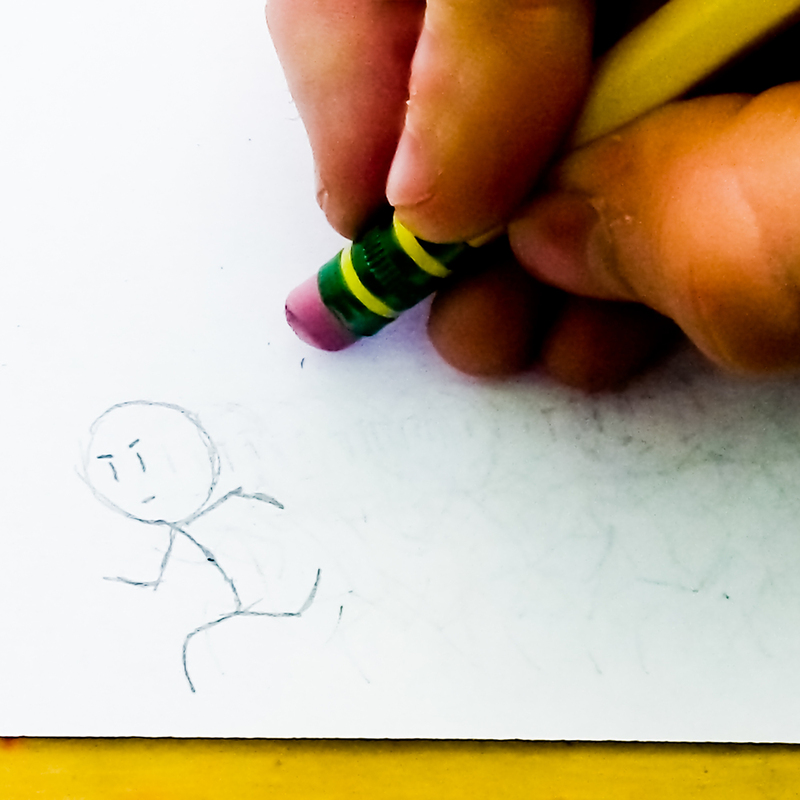 When a filmmaker has an idea for a film, she is encouraged to draw pictures, flesh out her story, discuss her ideas with other filmmakers, and write. Once she knows the direction she wants to go, she decides the best format for her film, i.e. live-action or stop-motion animation. She creates a script and storyboards, which are visual containers of images and scenes that she wants to capture on film, and when the pre-production work is complete, she gathers a team of actors and camera people. The collaborative nature of filmmaking is evident while a film is in production and once all of her scenes are shot, the film editing begins which is a more solitary process. Some of the questions that guide the process are: do I have a good story, is it interesting, is it visually interesting and beautiful, do I have everything I need to take a film from idea to completion, what do my fellow filmmakers think of my project, and what will my audience experience while watching my film? Young filmmakers use computers for film editing, point and shoot cameras, video cameras, a variety of editing programs, any and all art materials, music, actors, camera people, set designers, and any material a young filmmaker requires. How does this project integrate various disciplines? If relevant, describe a sample day or work session to illustrate this integration. Storytelling lies at the heart of filmmaking, and writing and filmmaking go hand in hand. Interestingly, a film is written three times: the first being when ideas emerge and are fleshed out in the script and storyboard, the second when shooting the film, and the third during the film editing process. Recently, we listened to his radio program and studied the art of storytelling from Ira Glass. We watched a series of podcasts in which he defined the elements of excellent storytelling, and analyzed picture books according to these elements. The students collected and recorded stories that had all the makings of a great story to serve as scripts for films. 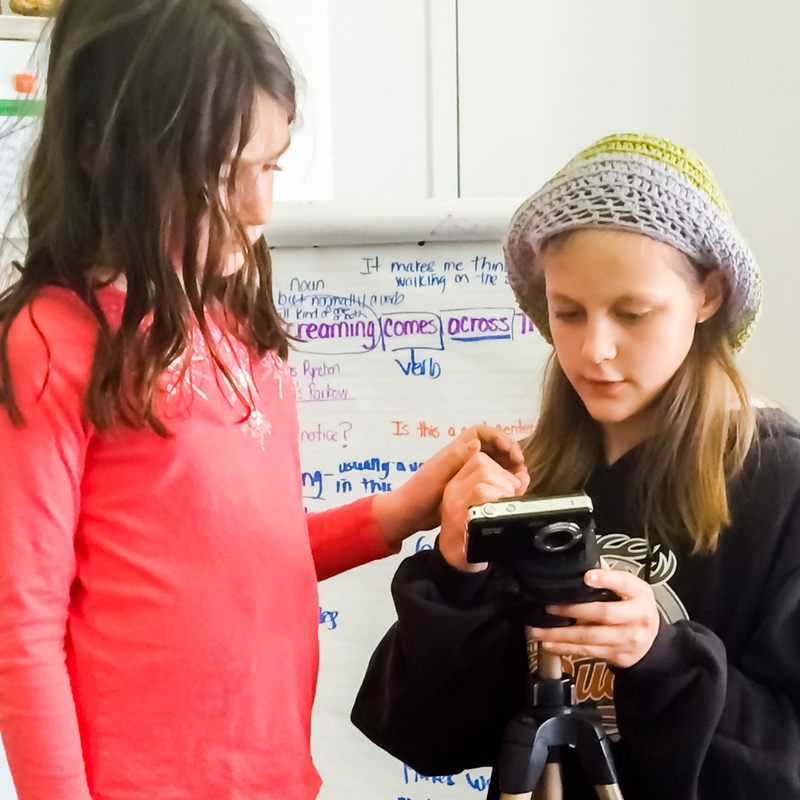 Creating visual stories to accompany their audio recordings, young filmmakers used a range of materials to create stop-motion films illustrating their growing ability to identify a good story because excellent filmmakers know great stories. As with every film, extensive writing and reading are required of the filmmakers. Filmmaking is a multidisciplinary endeavor. For example, while making our documentary, Chicken, some students immersed themselves in the science and evolution of poultry, while some researched and created a history of where the school’s chickens originated. Becoming researchers is an important aspect of the process. Hayground student filmmakers create visual stories, whose subjects emerge from a variety of disciplines. This year one of the students is working on a film about symmetry – from science to mathematics, filmmaking knows no boundaries. If you had to give one sound bite about your program, what would it be? If you want to see a student deeply immersed in meaningful work, work that challenges and excites, watch a young filmmaker in action.